Earlier this month, we brought you the news that General Motors had halted production, sales and deliveries of the incredible 2012 Chevrolet Camaro ZL1 for “quality assessment” and less than a month after progress of the new American super muscle car was put on hold – the ZL1 production has restarted and deliveries are set to begin soon. As was the case when General Motors originally announced the freeze applied to the production, deliveries and sales of the 2012 Chevrolet Camaro ZL1; there has been no indication as to what the quality assessment at fault for this hold might be but with things picking back up as normally, we can only be led to believe that the problem has been solved. The restart of production was announced today by the Motor Authority, who received an email initially sent to those consumers who have ordered the new ZL1. The 2012 Camaro ZL1 coupes that have already been built and were held back at the Oshawa Assembly Plant in Canada can expect to have their new muscle car shipped out in the next two to three weeks and for those buyers whose super Camaro has not been built – production has restarted and a delivery schedule will be announced soon. In addition to doing their best to satisfy those consumers who have already purchased or ordered their 2012 Chevrolet Camaro ZL1, the announcement of the end of the quality assessment means that the automaker will likely soon announce another round of orders for those who want to get their hands on the 580 horsepower super muscle car. There is a good chance that General Motors will remain pretty hush-hush about the reason for the production and delivery freeze for the 2012 Camaro ZL1 but with the way that information has a way of sneaking out of automakers as time goes on, we may eventually find out what caused this three week delay. We should all be reminded that there was a single buyer who received his 2012 Camaro ZL1 Coupe but GM actually took the car back, allegedly claiming that it was taken back because it was prematurely delivered. However, other reports suggest that the sole (and very lucky) ZL1 owner was told that there was a possible software issue and that the car needed to be sent back to address that problem. GM later denied that claim but with that being the only direction that anyone has to go in investigating what caused the production and delivery freeze of the ZL1; there are a wide variety of software systems that could have been at fault for the delay. 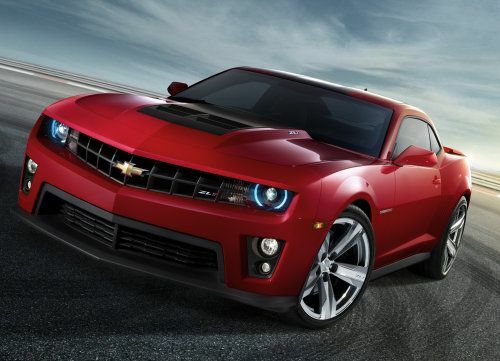 So, those of you who have placed your orders for the 2012 Chevrolet Camaro ZL1, you should have your car before the end of April and for those of you who haven’t made an order; you should soon be able to put money down on your own super high performance Chevy muscle car. My dealer told me the remaining 2012's will be shipped with the carbon fiber weave insert - even if you didn't order it. Anyone know the 2012 production numbers? I've heard anywhere from 500 to 3000.